Kick-Start This Spring With A Special Hand Knotted Rug 🌷- 50% OFF ! Subscribe Today and Receive an Additional 15% Off! We've added you to the mailing lists you selected. Make your best offer, or call us. Call us at 201 933 4300 to make your offer over the phone. Contact us for low international rate quotes. 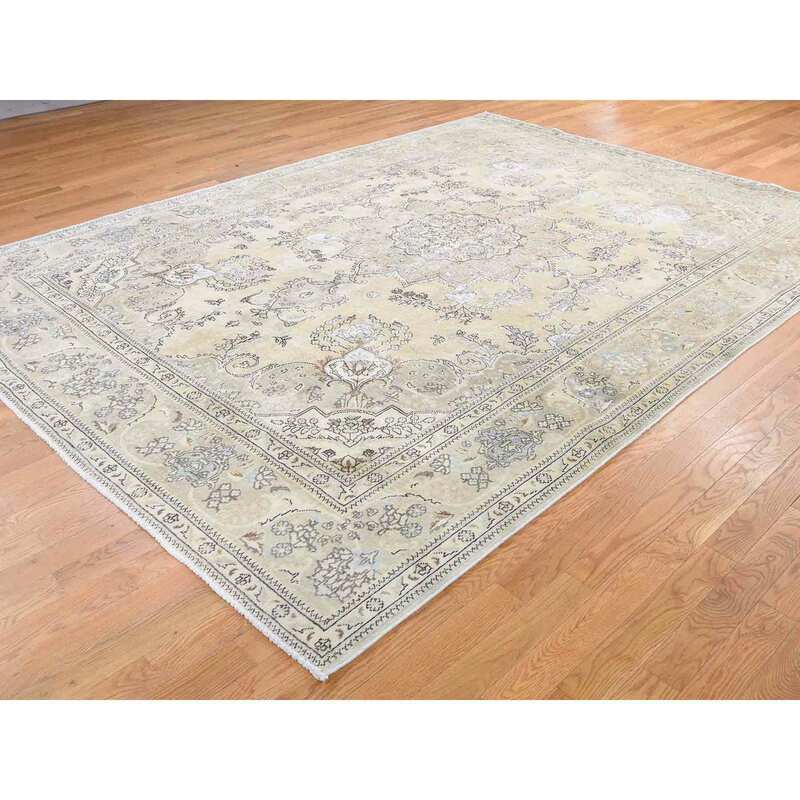 This is a Genuine Hand Knotted Oriental Rug. It is not Hand Tufted or Machine Made rug. 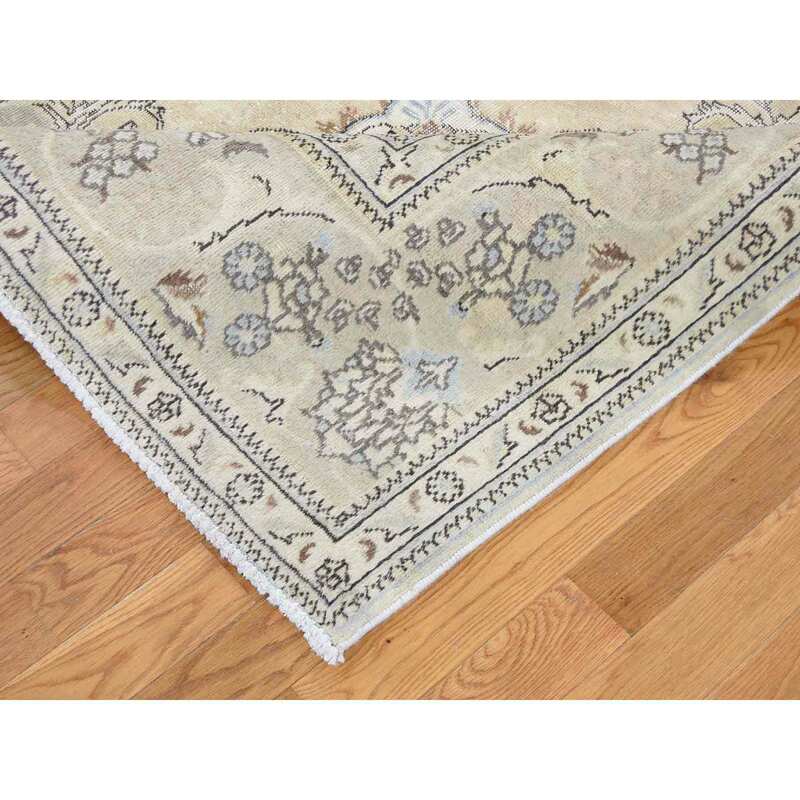 Our entire inventory is made of either Hand-Knotted or Hand-Woven Rugs. 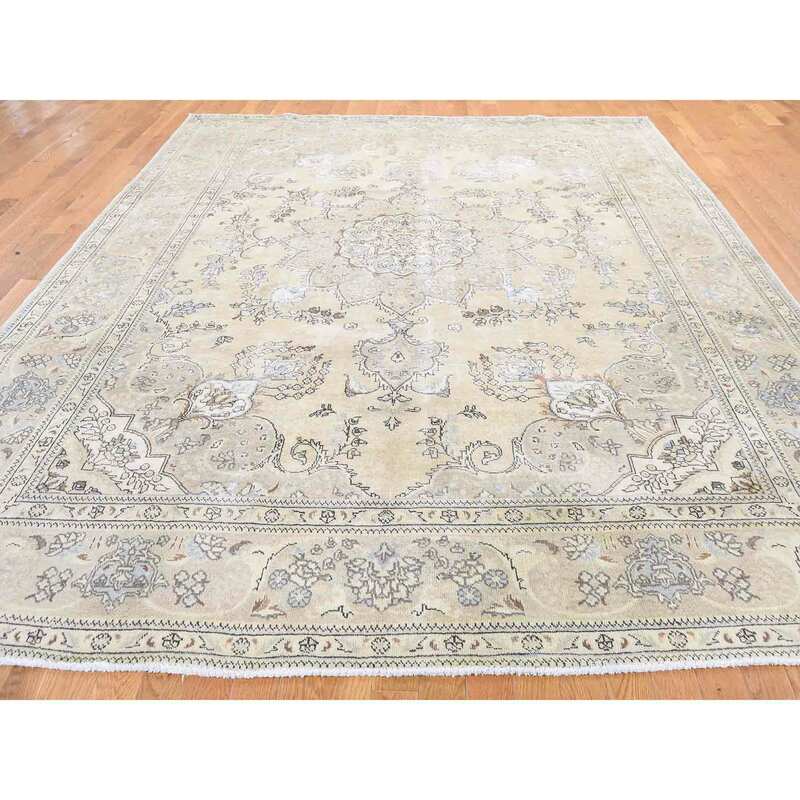 Exact Size : 8'4" x 11'0"
Revive your home style with this beautiful Hand-Knotted Yellow Tabriz,is an original Pure Wool oriental rug.This limited piece has been knotted for months and months in the centuries-old Persian weaving craftsmanship techniques by expert artisans. Before written history, mankind was using wool to make life better and comfortable. Although scientists have tried many times to make a synthetic product with all of the qualities of wool, they have never succeeded. Nothing compares with the comfort, resilience, versatility, and health benefits of pure wool. 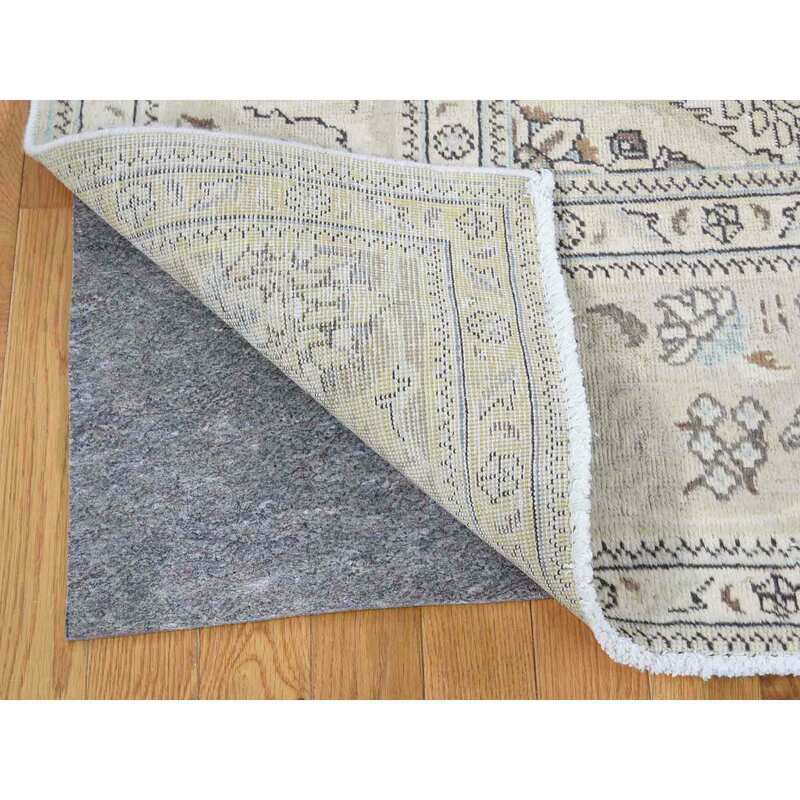 Hypoallergenic - Wool is resistant to bacteria, mold, and mildew, which trigger reactions in some people. Temperature controlled - Wool is warm in cool weather, cool when it's warm. Naturally fire retardant - Wool extinguishes itself when touched to a flame. It won't continue to burn. Because of this fact, firemen wear wool clothing. Dust mite repellant - Dust mites need moisture to survive. Wool evaporates moisture quickly and is inhospitable to dust mites. 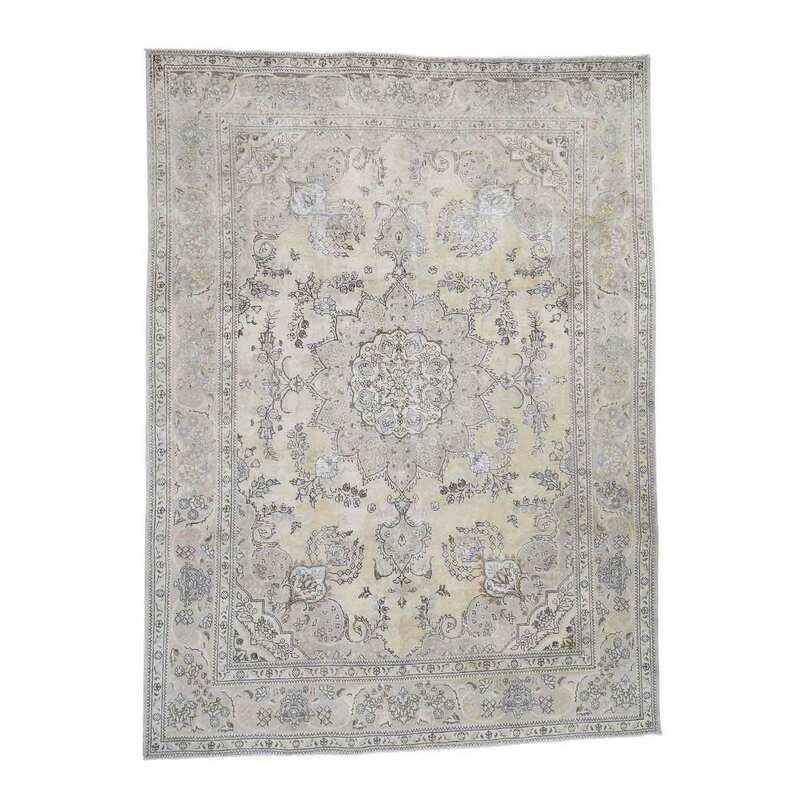 Guaranteed to be a genuine hand knotted oriental rug. 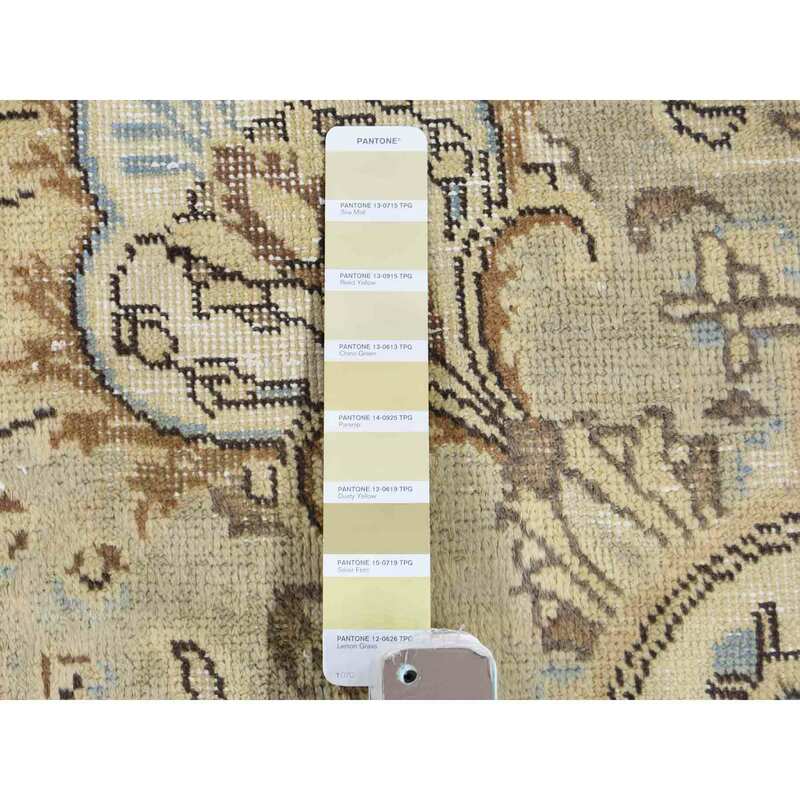 As a manufacturer and wholesaler of fine Oriental rugs we offer top quality items at a fraction of the real value. 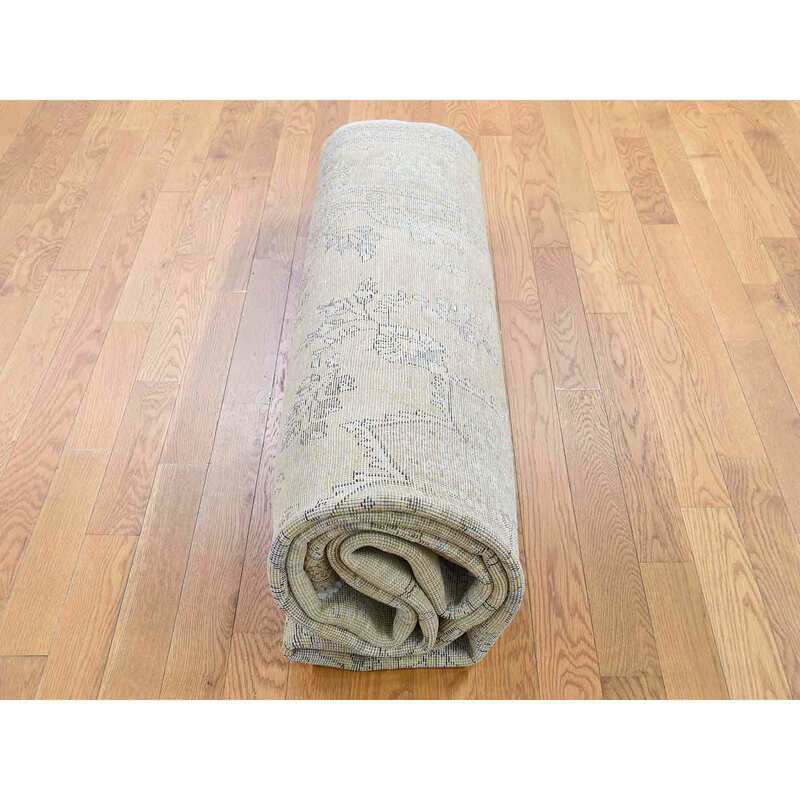 With thousands of rugs to choose from, we carry a diverse selection of hand knotted area rugs from around the world. As a long time industry leader, we are a safe secure way to shop online with a full money back guarantee. Open 7 days a week, same day shipping on most items, a convenient return policy, and a helpful staff make shopping at 1800GetARug as easy as it is affordable. Unprocessed wool arrives at the hand spinning facility in large bales, the wool is then cleaned by hand, to remove sticks and to break up the clumps. The cleaned wool is spun into the yarns by using a traditional spinning wheel. Whether it�s wool, silk or cotton it all starts with the material selection. The big piles of wool are hung onto a large rack and then submerged into the dye. The dye is heated to a near-boiling temperature for a predetermined amount of time. Depending on the weather, the dyed yarn is then set to be dried in the sunlight for one to three days. 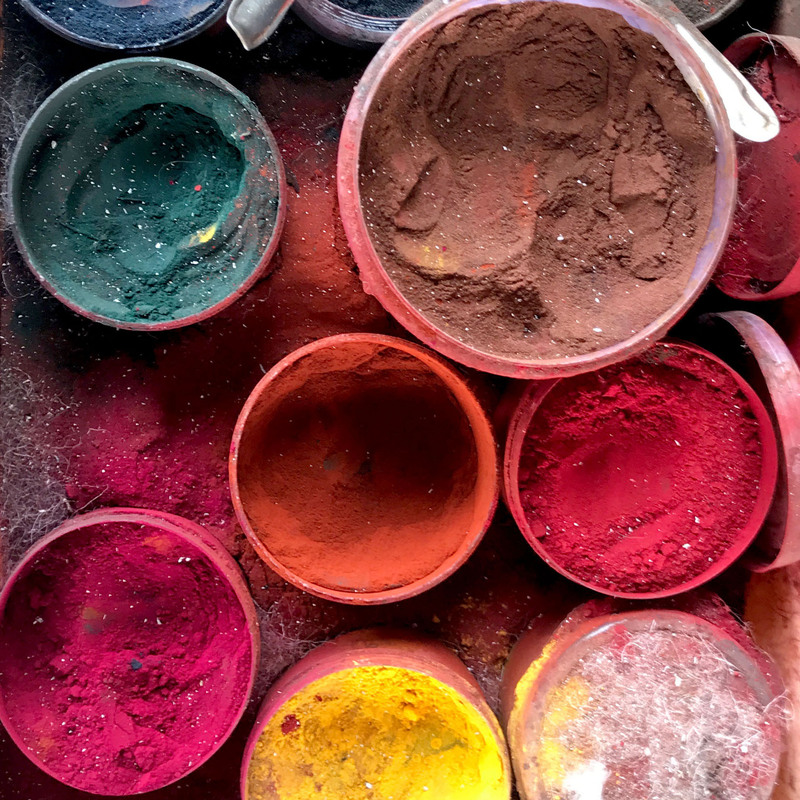 Pot dyeing and vegetable dyes (natural) are sometimes being used in this process. Before the yarn is dyed, it is first washed. This process happens by submerging the wool into a detergent bath, and then wrung out several times. 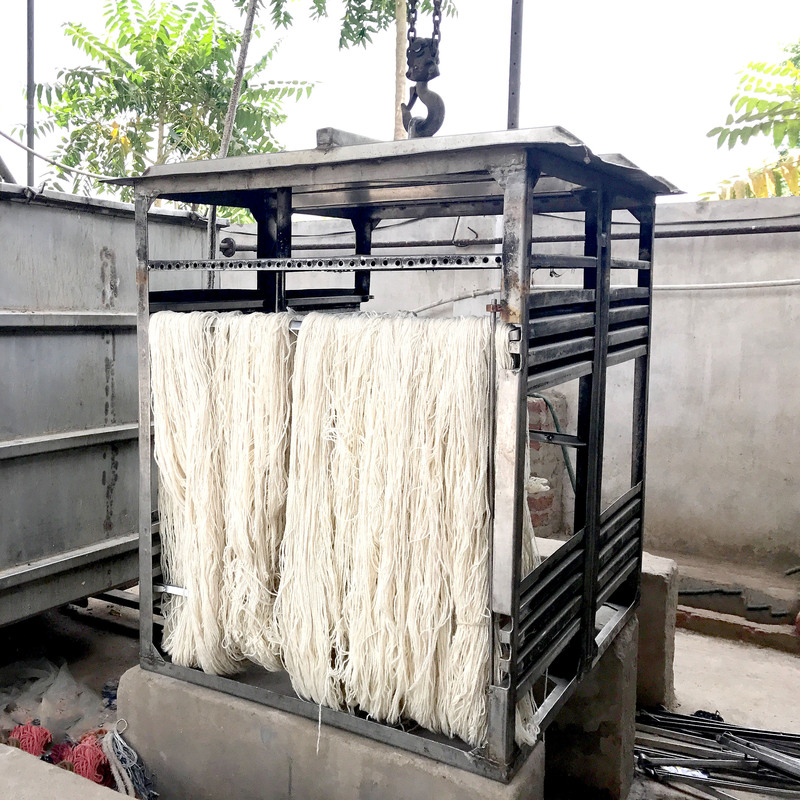 The yarn is washed again in clean water to remove all remnants of the detergent. A design is rendered and printed out to on an enormous graph paper, or map called The Naksha. 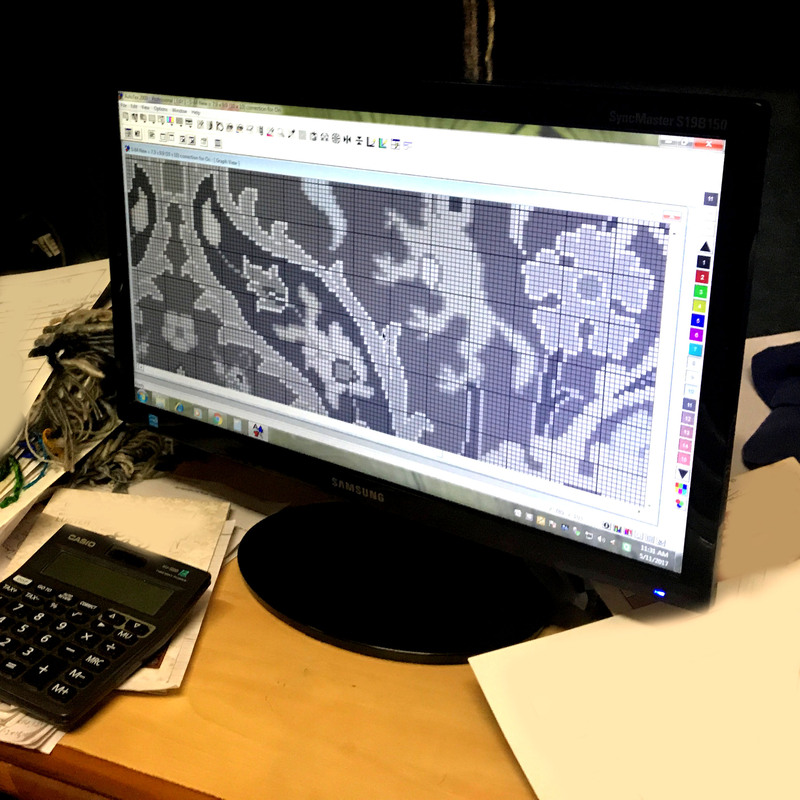 This complete map contains all the minor details of the design that will be applied in making the rug, knot by knot. 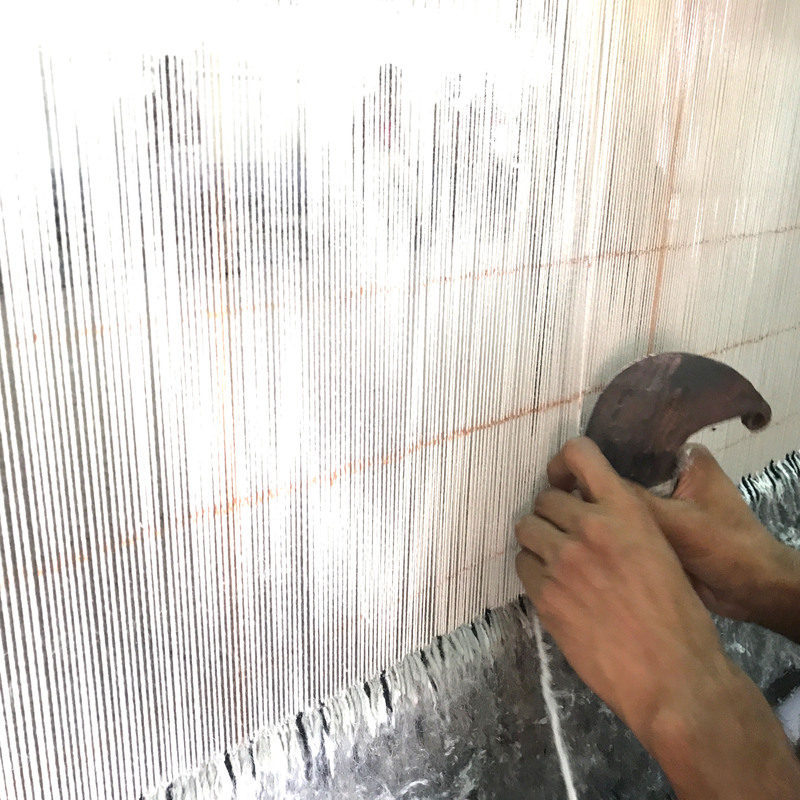 To start weaving, the loom must be prepared with columns of warps and wefts (sometimes called woofs). Warps are the threads that run vertically and are intertwined with the threads called wefts which run horizontally. 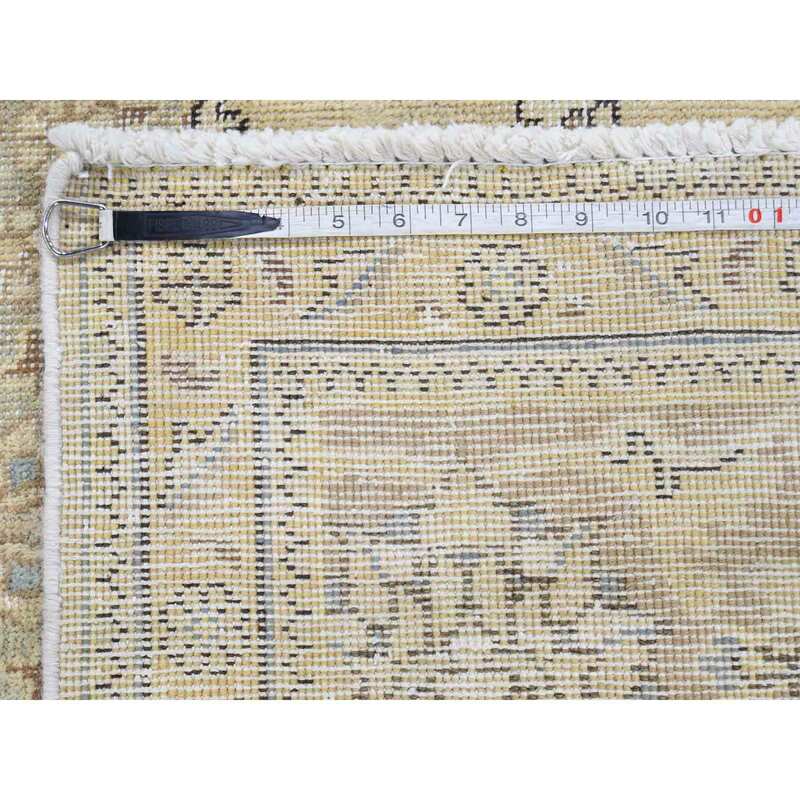 Once the first row or weft is finished and firmly pushed down a second row intertwines to avoid knots from moving. 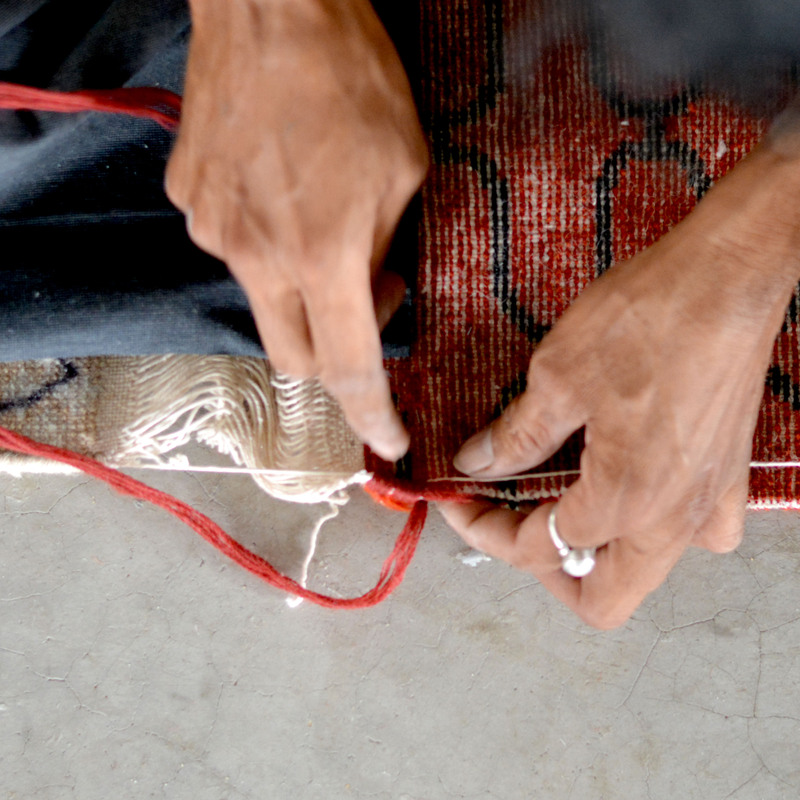 The intense labor is repeated until a durable and precious rug is completed. 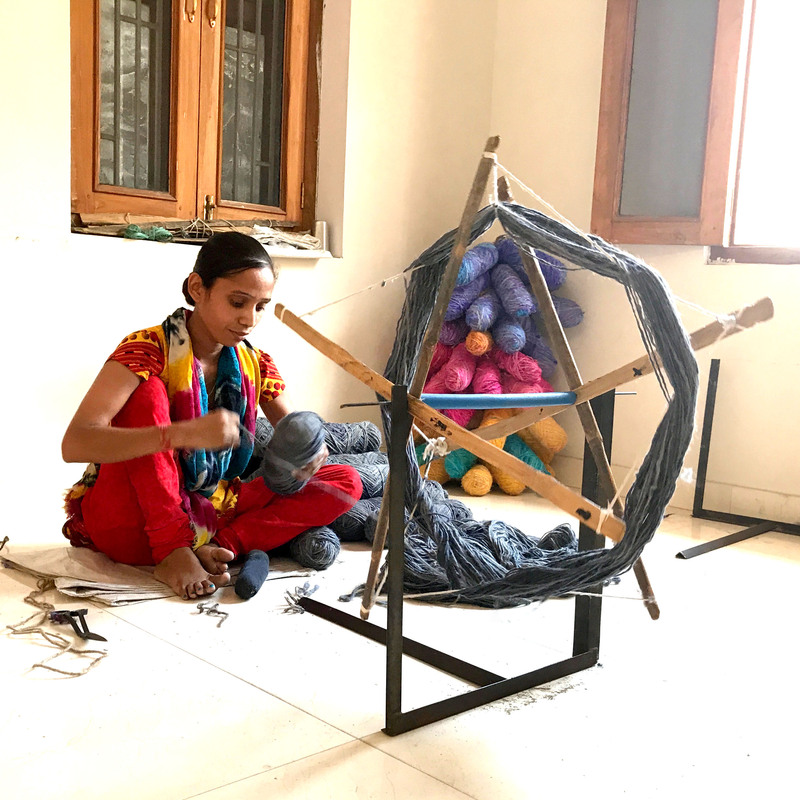 An experienced weaver can complete up to nine thousand knots per day. 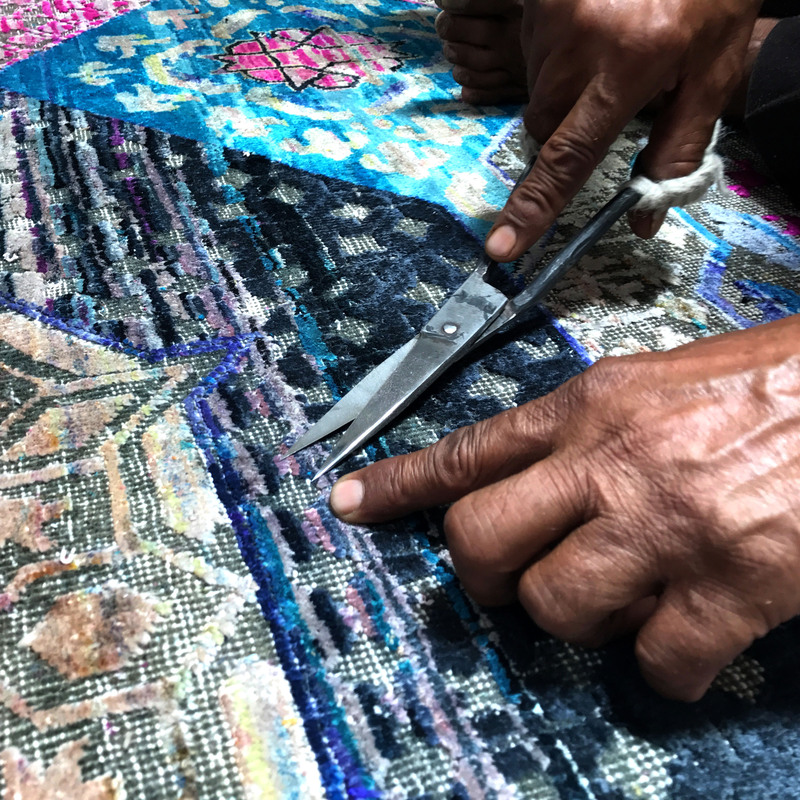 Hand-knotted rugs are one of a kind masterpieces created by skillful artisans who possess in their hands the traditions carried down from generation to generation. 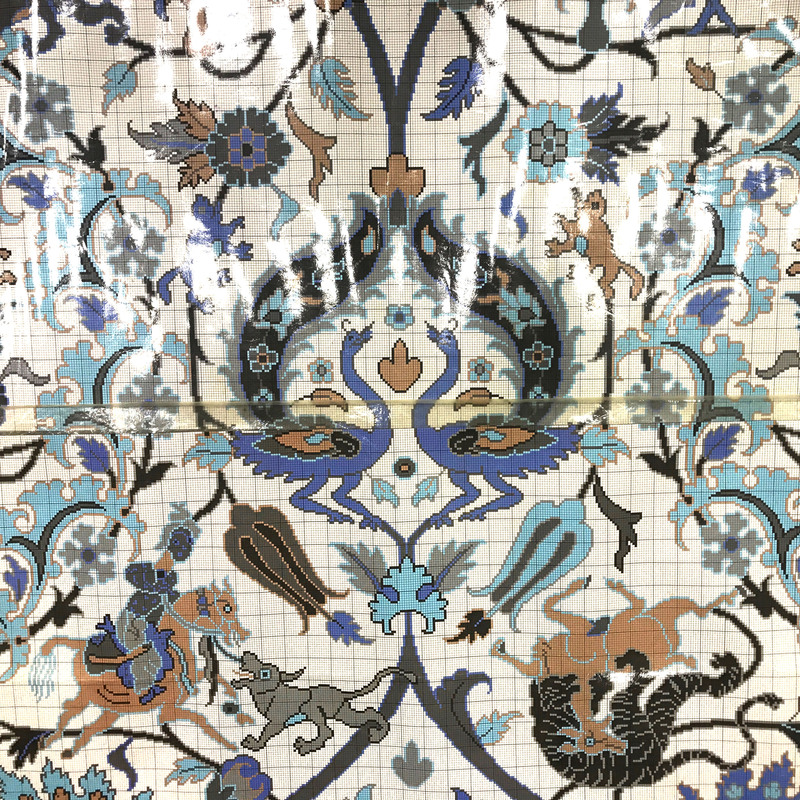 The entire rug is put throught the process called binding and trimming, then it is washed and dried several times for vibrancy and sheen. 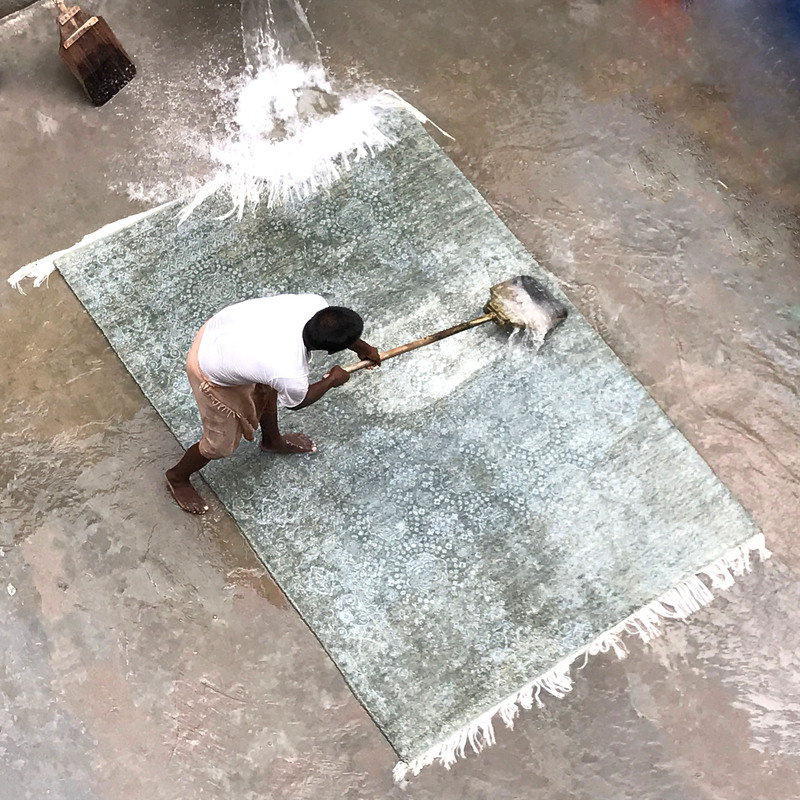 The rug is laid flat on the ground, then fresh water is poured over it. 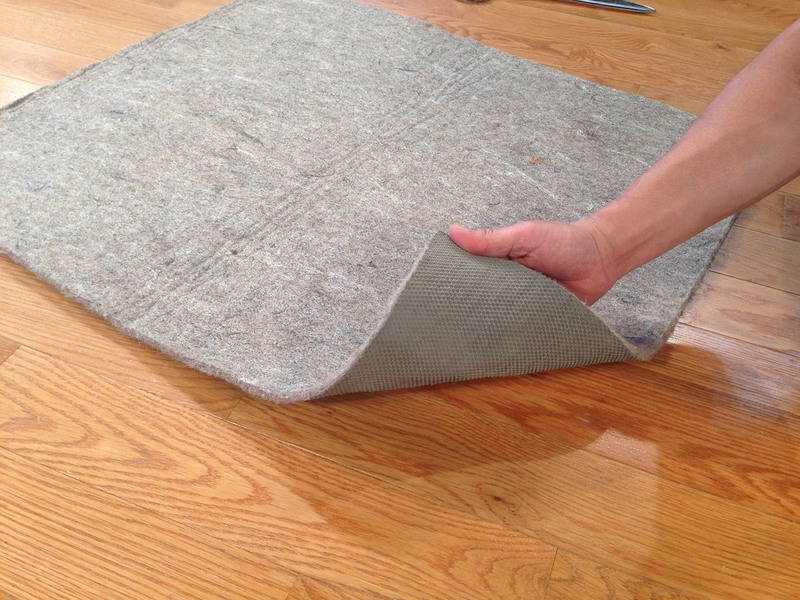 The rug washers then use a wood plank, sharpened on one edge, to force the water through the rug pile. This removes impurities picked up during the creation process. 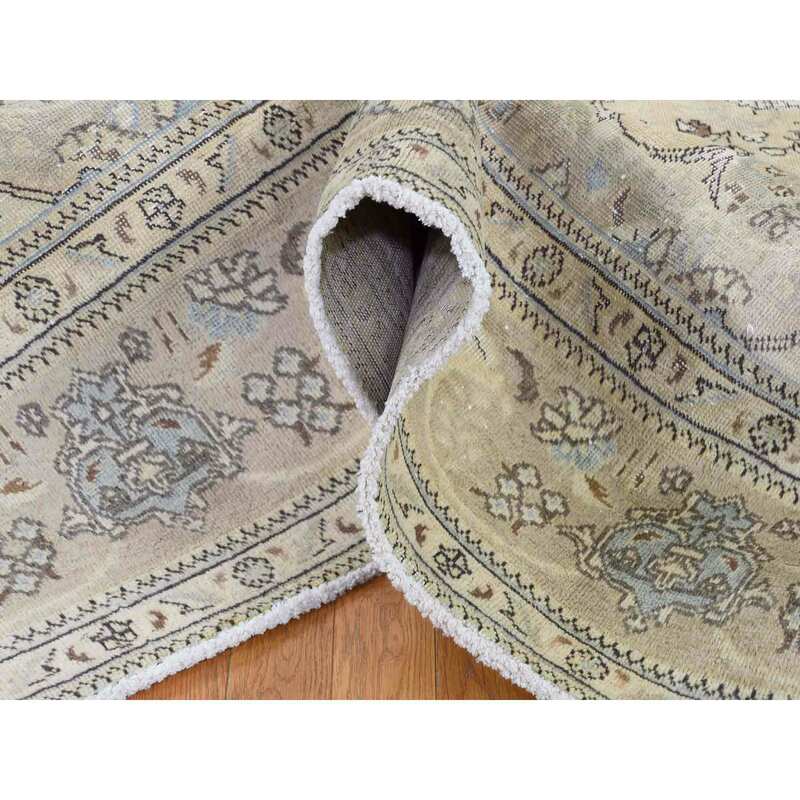 No backing is needed for a hand-knotted rug. The final steps include quality inspection of size, pile height and shearing. 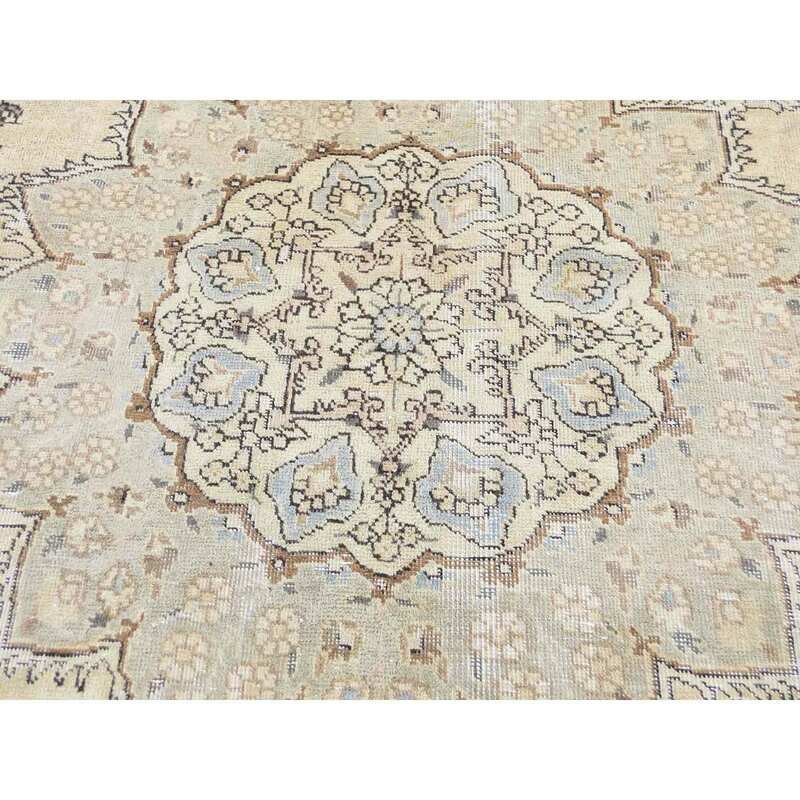 It is important to notice that each weaver or group of weavers adds personality to the new rug, no two rugs are ever the same and all of our handmade rugs are one-of-a-kind. 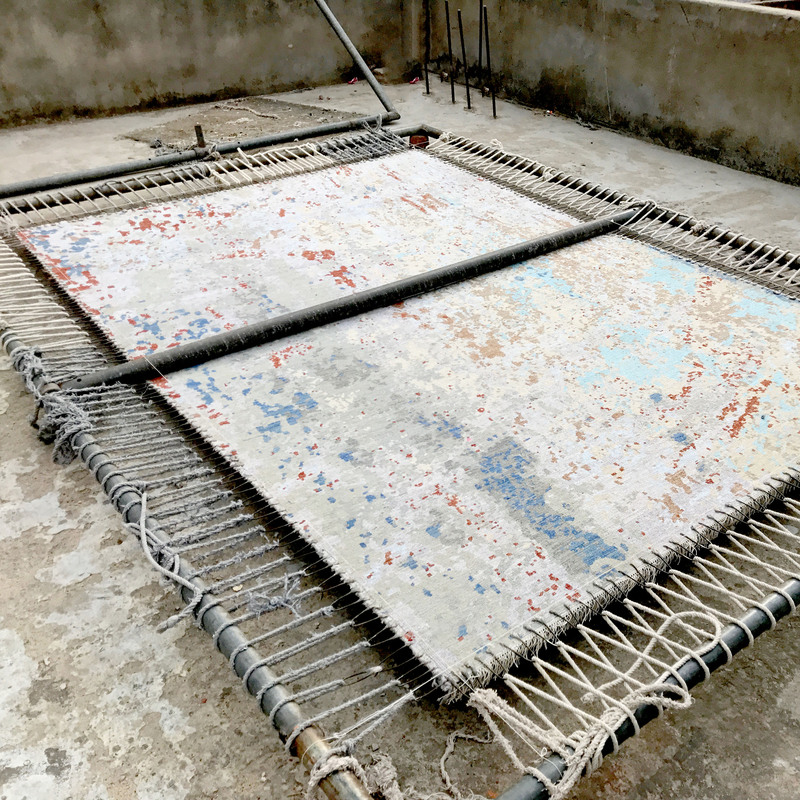 The Overdyed and Patchwork handmade rug, represents one of the hottest trends in the industry today. 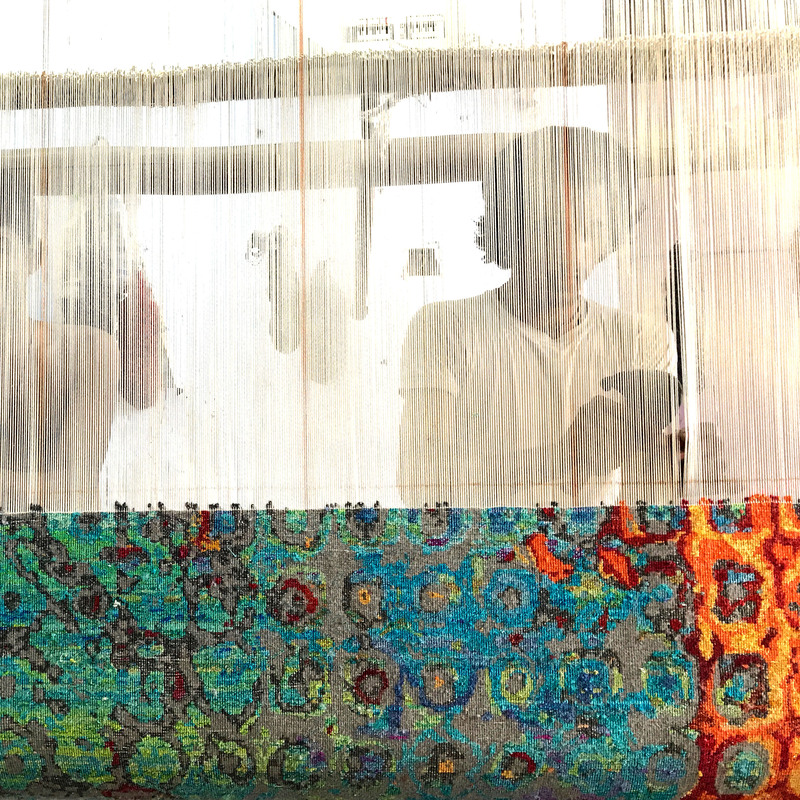 Each Overdyed rug is stripped of its original colors, then dyed again in vibrant hues, to create unique and one-of-a-kind pieces. The Patchwork rug is handcrafted out of salvaged, vintage carpets, with a variety of colors combining to form a wholly unique and textured design. Unprocessed wool arrives at the hand spinning facility in large bales, the wool is then cleaned by hand, to remove sticks and to break up the clumps. The cleaned wool is spun into the yarns by using a traditional spinning wheel. Whether it�s wool, silk or cotton it all starts with the material selection. The big piles of wool are hung onto a large rack and then submerged into the dye. The dye is heated to a near-boiling temperature for a predetermined amount of time. 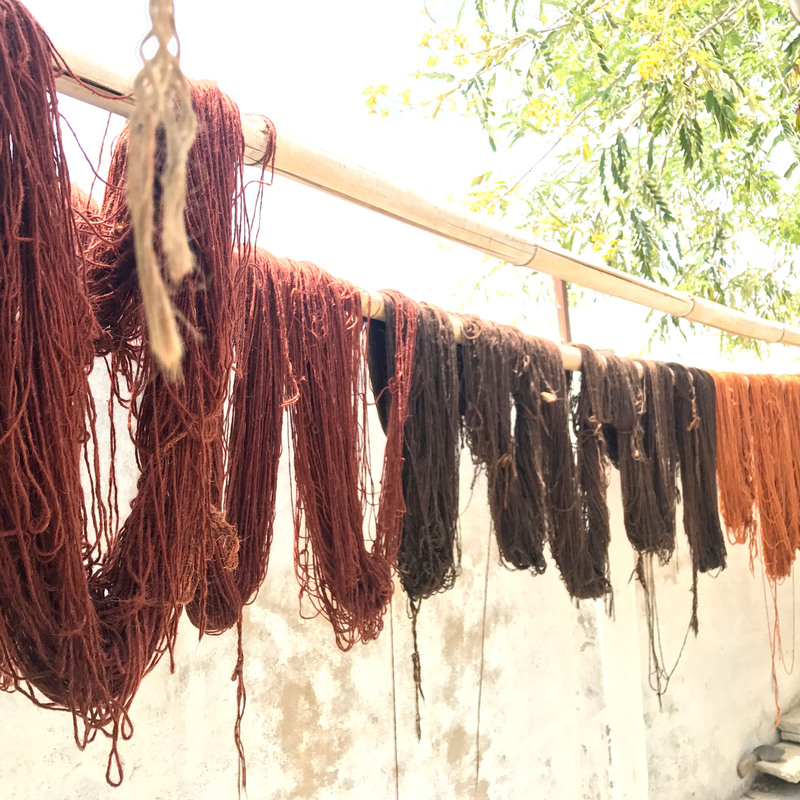 Depending on the weather, the dyed yarn is then set to be dried in the sunlight for one to three days. Pot dyeing and vegetable dyes (natural) are sometimes being used in this process. Before the yarn is dyed, it is first washed. This process happens by submerging the wool into a detergent bath, and then wrung out several times. The yarn is washed again in clean water to remove all remnants of detegent. 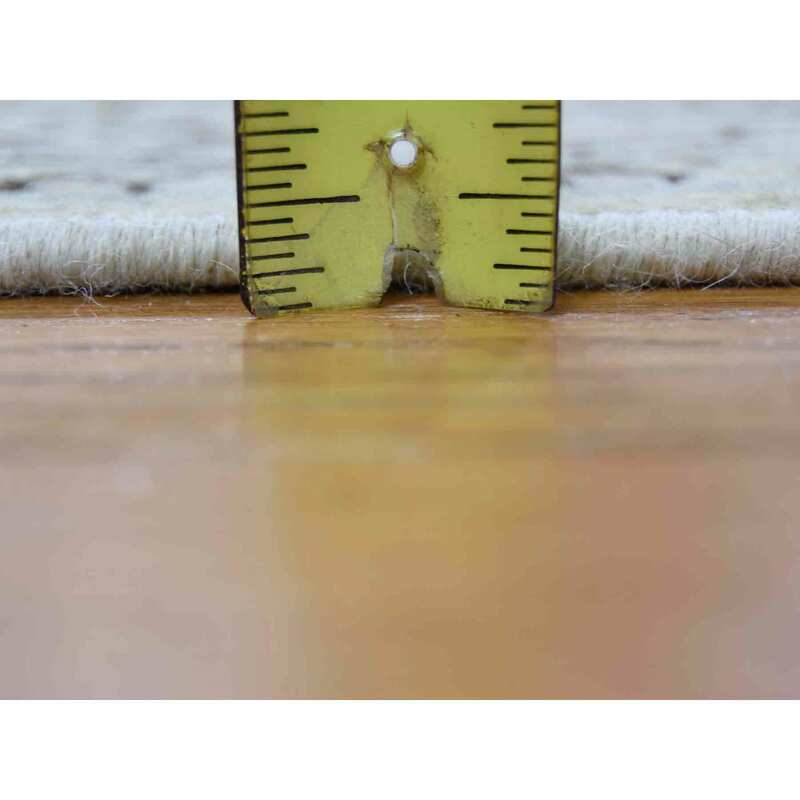 Our pads are duel sided with a natural rubber that provides increased grip on your floors and avoids the failures of synthetics that may stain your wood over time. 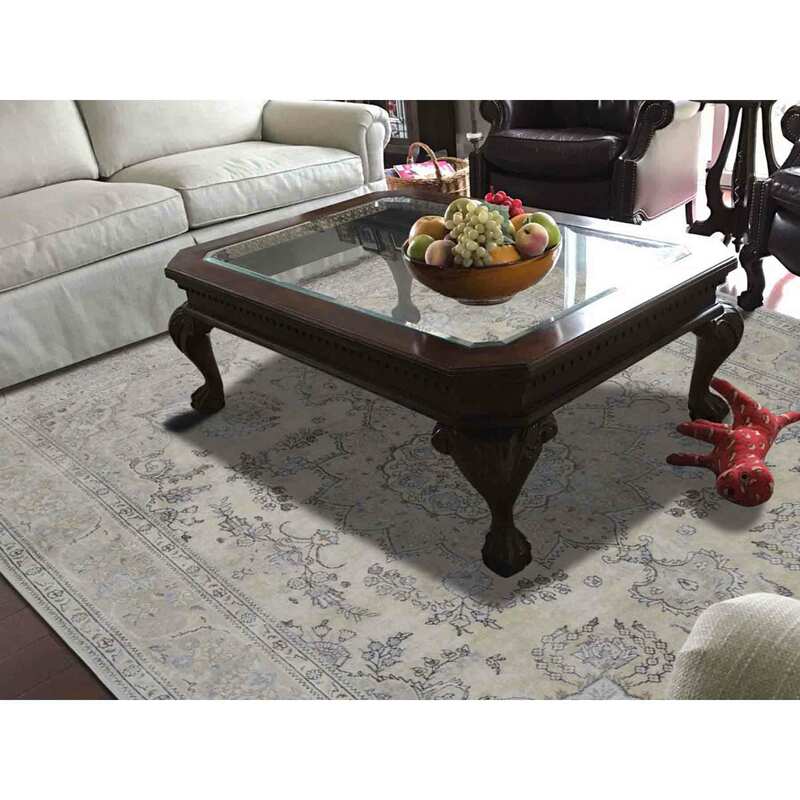 Rug pads are custom cut to the exact size of your rug, as such they are Non-refundable. Copyright © 1990-2018 1800getarug All rights reserved.